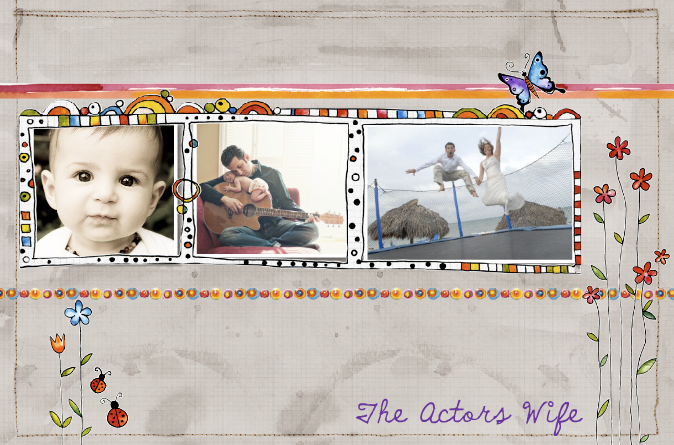 The Actors Wife: Stop Biting!!! For as long as I can remember I have been biting my nails. It is a gross habit I will be the first person to admit that. I have tried EVERYTHING to stop biting. For my 18th birthday I even asked for an appointment to get hypnosis to stop...we were never able to find someone. To make matters worse. I have very short, stumpy fingers. In college my roommates used to refer to them as "cocktail weiners". 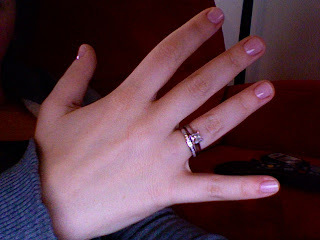 So..I need the long nails to make my fingers look a bit more presentable. In college I got into the fake acyrilc nails to help my hands look not so gross. Basically I paid the big bucks every 2 weeks and then quickly after getting them done I would bite them until they looked HORRIBLE. Since I bit them...I also had to deal with going into the nail place every 2 weeks and being ridiculed by the nail ladies. Yes...I know my nails look bad...please do not gather in a circle around me and laugh and point. I even had one lady tell me she was going to bring me in some cheerios so I could chew on them instead of chewing on my nails. So from college up until now I have been spending between $25 - $60 every 2 weeks to get my nails done. Thats a lot of dough. I could have bought a ton of things with all that extra cash. Biting your nails is a gross habit I know that. It makes your hands look gross and it is not very lady like to walk around with your hands in your mouth. Now we are in New York. Surprisingly there are not many places to get fake nails. There are about a million nail places on every block...but most of them only do natural nails (aka manicure /pedicure). So...I have decided that my resolution this year is to drop spending all that money on fake nails that I bite off and let my real nails breathe. So far it has been about a month. I am getting better about not biting my nails but it is hard! I mean I have had this nasty habit my whole life!!! I am trying to get weekly manicures to help them look good and to maybe help me not bite them. Slowly but surely they are growing. Sadly I did some damage to my nails with all the years of acrylics....but they are getting better by the day. If you ever see me biting my nails I give you full permission to slap me! I think they look pretty darn good! Mine always looked like hell (and much worse than yours) after I took acrylics off. Do you wear your wedding rings on your right hand? Nope...wedding rings are on the left...I was taking the picture with my computer and didn't want my unshowered self in the pic...so my hand was off to the right side! They look great! GL on stopping. We all have our bad habits. In high school I did a lot of acrylic nails, but realized how much damage they did-and I haven't used them since. Luckily, I have nice nails. Your nails look great, manicured and polished. Classy! Your wedding rings are gorgeous! You and Guter have great taste! Au natural (nails) is the way to go! I have done the acrylic, fibreglass, and silk route. The acrylic was hell, especially if I broke a nail to the quick. Ouch!Fibreglass and silk were all right, the upkeep and the cost were a total pain. I was lucky my nails survived. What good timing your blog entry was today. I just came from the Bliss Spa, had the mani/pedi with French polish today. I am going to suggest to you when you can splurge on a mani/pedi, try the Bliss Spa. All the nail treatments are superb, relaxing and of course--pure Bliss! I finally quit this year - and I've bitten since I've had teeth! Congrats! Your nails look great. I am still trying to figure out how the heck you managed to bite the fake nails though. Your nails look great...i'm so glad you stopped biting...ICK!! :) I love their your friends called the cocktail weiners...HILARIOUS :). Take it from a reformed nail biter, getting manicures is the way to go to stop biting! Your nails and hands will look totally gorgeous, especially displaying those lovely rings of yours on your left hand! Not to mention, you do not want to get any polish in your system.